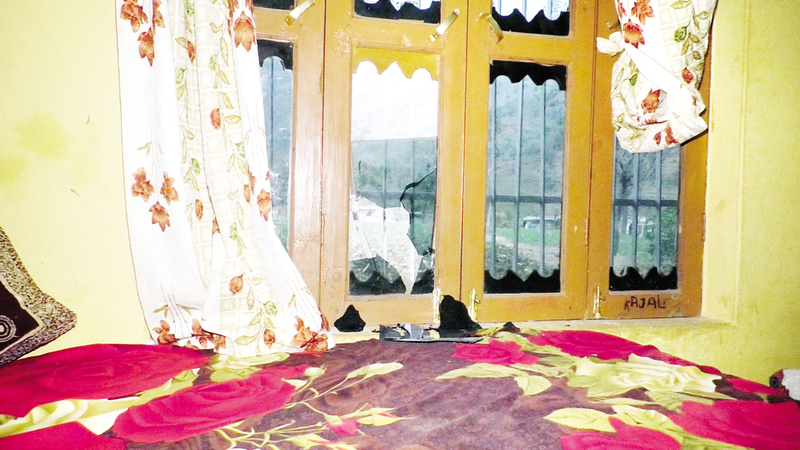 Wind screens of a house damaged in Pak shelling at Gulpur in Poonch on Wednesday. JAMMU, Dec 12: Pakistan army violated ceasefire on the Line of Control (LoC) at Gulpur in Poonch district this afternoon targeting civilian locations in which some houses were damaged. Reports said Pakistan army started shelling and firing at Gulpur at 2.45 pm today directly targeting the residential areas. Some of the shells fell close to the houses, causing damage to them. However, there were no casualties. Indian Army retaliated, silencing the Pakistani guns.